New Delhi: In a significant move ahead of the Lok Sabha elections and amid the growing pressure to move swiftly on the Ram temple issue, the Modi government on Tuesday asked the Supreme Court to allow it to return the “non-disputed” surplus land acquired around the disputed structure in Ayodhya to a Hindu trust and other original owners. The 0.313-acre land, on which the disputed structure stood before it was demolished by ‘kar sevaks’ on December 6, 1992, was within a compound measuring 2.77 acres. After the destruction of the Babri Masjid mosque that triggered Hindu-Muslim riots across the country leaving about 2,000 people dead, the then Congress government acquired 67.703 acres, including the land measuring 2.77 acres, through a legislation in 1993. In its application, the Centre sought modification of the apex court order of March 31, 2003 by which it was directed to maintain the “status quo” with regard to entire land including the non-disputed acquired plots. The move by the Centre came even as the apex court is set to hear 14 appeals gainst the 2010 Allahabad High Court judgement, delivered in four civil suits, that the 2.77-acre land be partitioned equally among three parties — the Sunni Waqf Board, the Nirmohi Akhara and Ram Lalla. 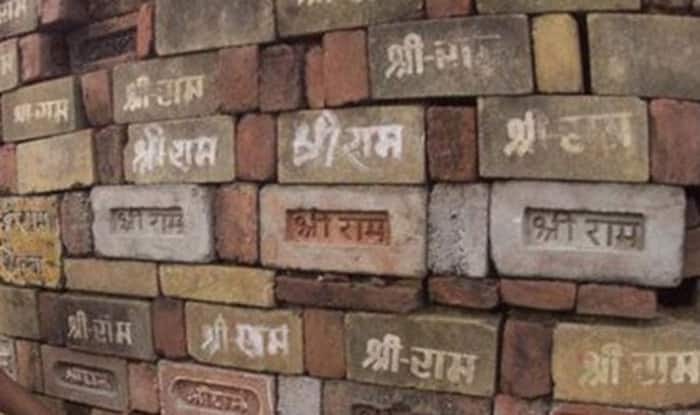 The Centre said the Ram Janambhoomi Nyas (a trust to promote construction of Ram Temple) had sought return of excess land acquired to the original owners. Defending the move, the BJP said the Centre is not touching the disputed area and indicated that any return of the undisputed land could pave the way for construction of Ram temple in Ayodhya. The Centre also referred to the Supreme Court’s verdict in the 1994 Ismail Faruqui case, saying the top court had observed that if the Centre wanted to return the acquired land to its original owners then it may do so. “The Constitution Bench of this Court has held that the superfluous area which is other than the disputed area of 0.313 acres shall be reverted/ restored to its original owners,” the plea said. The Centre said the Ram Janambhoomi Nyas had sought return of excess land acquired to the original owners. The Centre claimed that only 0.313 acre plot, on which the Ram Janambhoomi-Babri Masjid structure stood, was the disputed land. The 0.313-acre land, on which the disputed structure stood before it was demolished by 'kar sevaks' in 1992, was within a compound measuring 2.77 acres.